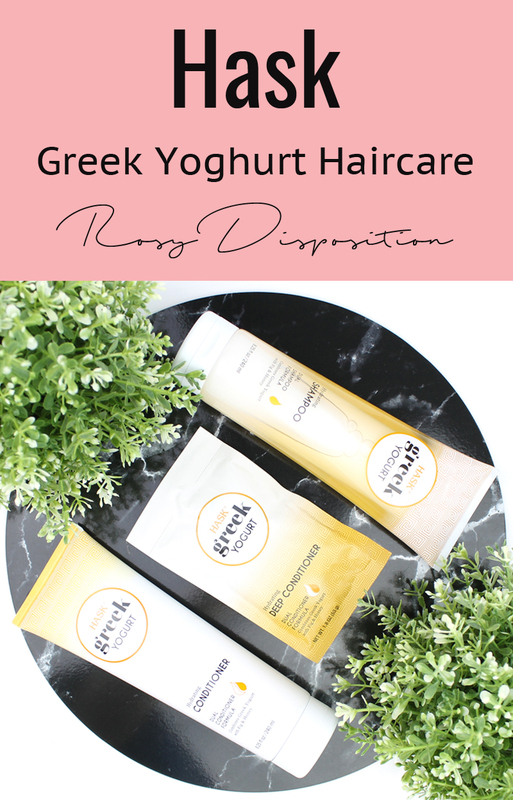 I'm not going to lie, when I first saw the name "Greek Yogurt" on a shampoo bottle I was a little confused and a lot skeptical. As it turns out though, I was totally wrong to doubt Hask. They are actually some pretty great haircare products. This range claims to be hydrating, and that is definitely true, but I would say they are particularly good if you want a lot of volume. The formula of the conditioner especially is light and doesn't leave any residue which gave me heaps of lasting volume in my normal hair. If you have a lot of frizz and flyaways you should probably go for a range with some sort of oils like argan, coconut or macadamia. Overall though, this shampoo and conditioner leaves my hair very soft and light which I really like. It is also worth noting that they smell amazing with a light honey scent. I actually liked this more than I expected to! First of all, there is a ton in this sachet. I have already used it twice and there is at least one more mask left in it. It is thick, creamy and smells really good with the same subtle honey scent. When I washed it out, I'll be honest and say that my hair didn't feel super silky when still wet like it can with other masks. When it dried though, my hair was very silky, shiny and soft. What impressed me most though is that it leaves behind zero residue. I like to keep as much volume in my hair as possible so that is a huge plus for me. It would also be an amazing mask for people who have oily roots but still need to condition those dry ends. I will definitely be buying another one of these masks. 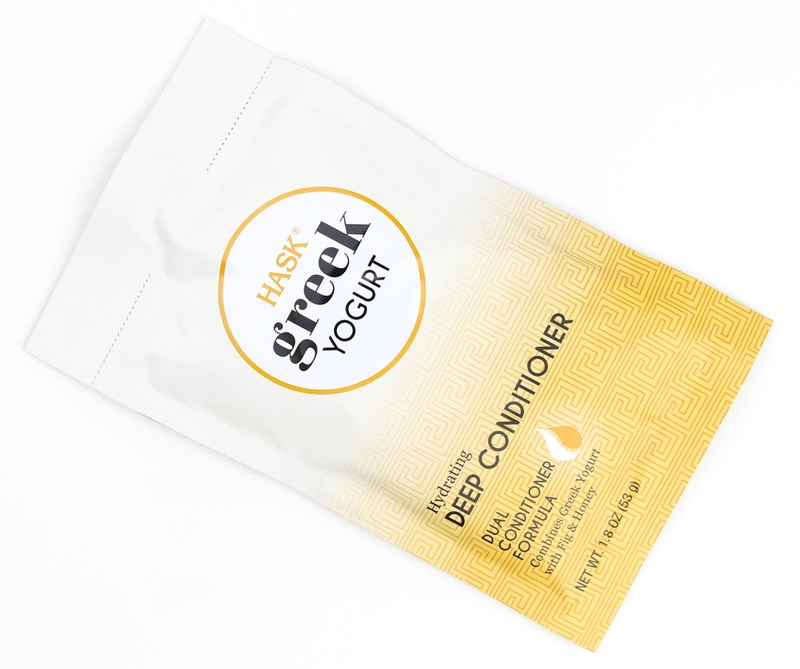 There you have my review of the Hask Greek Yogurt Deep Conditioning line. 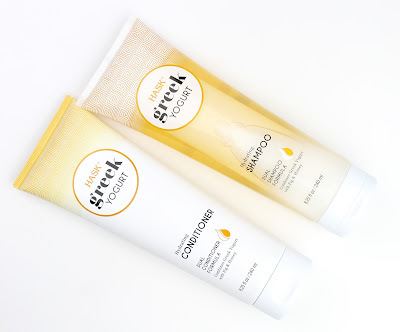 I really like the shampoo and conditioner but I loved the hair mask. I think it is one of the best I have tried for the price point, especially if you want to condition your hair without weighing it down. 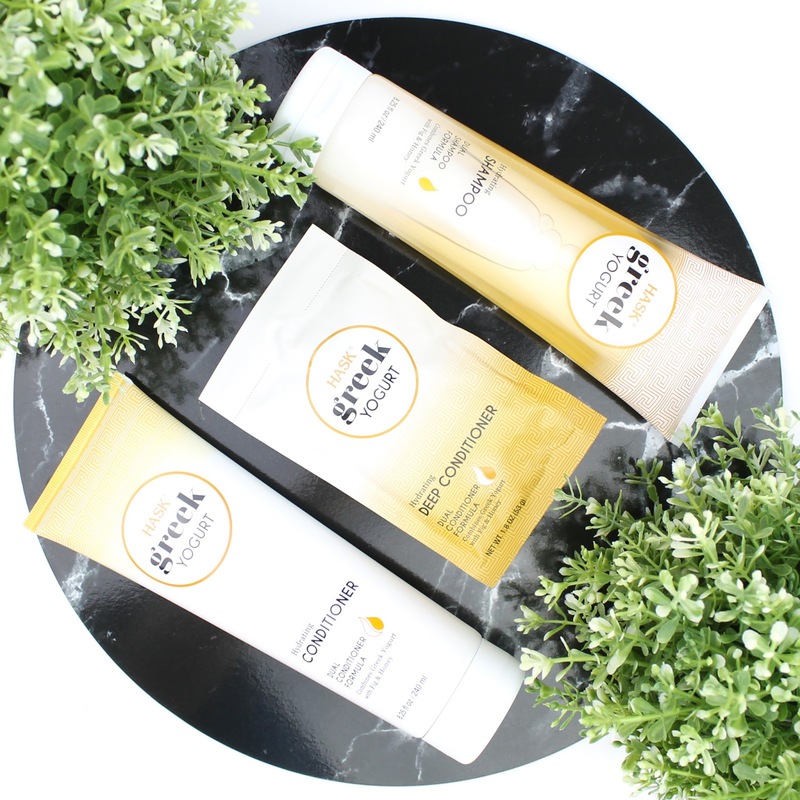 Have you tried any haircare from Hask before? Do you have any recommendations for products I should try next? Let me know in the comments below. Disclaimer: These products were sent to me as PR samples but there was no obligation to write a positive review. As always, my opinions are my own. 7 comments on "Hask Greek Yogurt Haircare"
I hadn't heard much myself but I definitely want to try more after trying these. Thanks for reading. I've seen these in Priceline lately, the look great! I'll have to pick some up next time I'm in store!